Bulgaria remembers Thursday, April 16, 2015, the victims of the world’s most horrific terrorist attack of its time – the blowing up of the St. Nedelya Cathedral in Sofia 90 years ago, in 1925, by the then outlawed Bulgarian Communist Party. 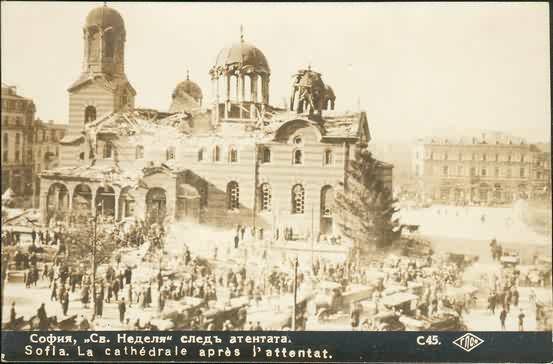 The bombing of the St. Nedelya Cathedral in Sofia in 1925 murdered 213 people, and wounded about 500 others, primarily representatives of the political, military, and intellectual elite of the Third Bulgarian Tsardom (1878/1908-1944). 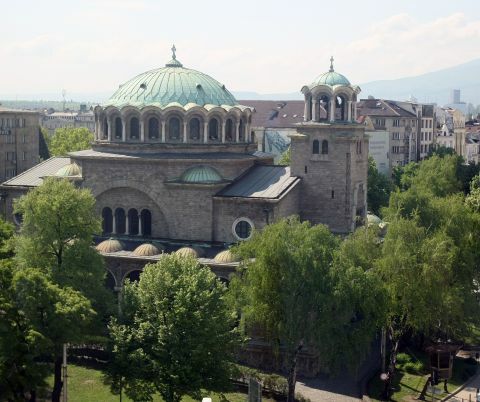 At the time, the St. Nedelya (“Holy Sunday”) Cathedral in Sofia was known as “Sveti Kral” (“Holy King") because since the 18th century it has preserved the relics of Serbian King St. Stefan Uros II Milutin (ruler of the Serbian Kingdom in 1282-1321 AD). It has been known as St. Nedelya since 1930 when it was rebuilt after the communist bombing. The responsibility for the terrorist attack was assumed by the military wing of the Bulgarian Communist Party which acted at the orders and with funding of the Moscow-based Communist International, the Comintern, and the military intelligence of the Soviet Union (Soviet Russia until 1922) in an attempt to destabilize Bulgaria and cause a “communist revolution” there. At the time, the Bulgarian Communist Party was outlawed after in 1923, acting again on orders from the Soviet Union, it staged the so called September Uprising, a botched revolt in rural Bulgaria that led to a major bloodshed. “The terrorist attack at the St. Nedelya Cathedral was directly organized and funded by the Comintern, the Moscow-based world union of communist parties. The Comintern also organized the so called September Uprising, which is a revolt, after it decided that there was a “revolutionary situation" in Bulgaria. The very local communists in Bulgaria were neither ready, nor did they want to stage it but it was ordered by Moscow," says Prof. Kalin Yanakiev from the Philosophy Department of Sofia University “St. Kliment Ohridski" speaking on private TV channel bTV. The terrorist attack in the St. Nedelya Church was committed on Maundy Thursday during the memorial ceremony at the funeral of military general Konstantin Georgiev. Gen. Georgiev himself had been assassinated two days earlier by two terrorist murderers from the Sofia terrorist group of the Bulgarian Communist Party led by Petar Abadzhiev. The communist terrorists hoped that the general’s funeral will bring together as many representatives of the Bulgarian political and military elite as possible so that they can assassinate them. Their main target was the 31-year-old Bulgarian Tsar Boris III. 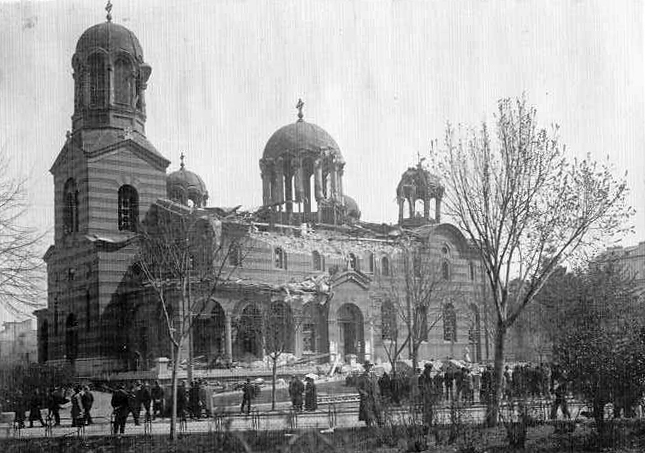 They set off the explosives they had placed in advance in the roof of the St. Nedelya Cathedral at exactly 3.20 pm, just as Sofia Metropolitan Stefan was reading from the Gospel, and blew up the main dome of the church, which collapsed on top of the people inside. Bulgaria’s head of state, Tsar Boris III, however, was several minutes late for the funeral of Gen. Georgiev, which saved his life. 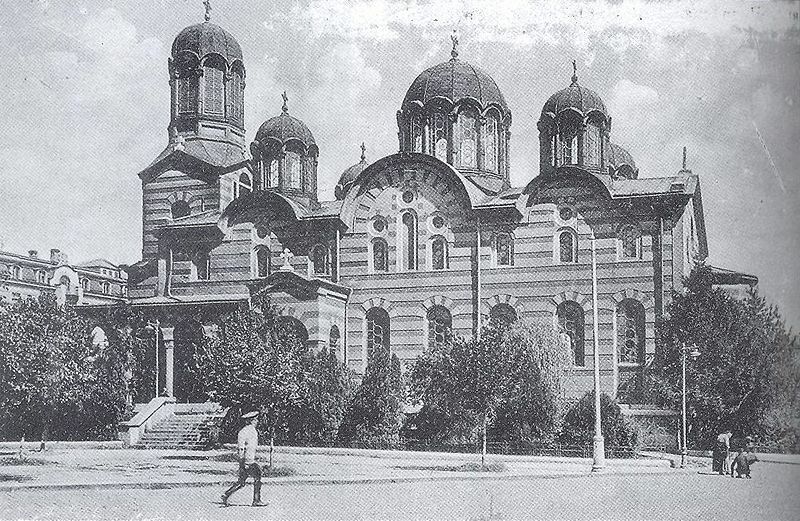 The barbaric communist terrorist attack in the St. Nedelya Cathedral intensified the violent political strife in interwar Bulgaria. The revolts, assassinations, and terrorist attacks of the communists known as the “Red Terror" were followed by the government’s retaliatory measures known as the “White Terror". The St. Nedelya Catherdral bombing was a foreboding of what was to come in 1944, when during World War II the Soviet Union finally managed “to cause a revolution" in Bulgaria by occupying the country and placing in power its loyal communists who committed mass murders and purges, and set up concentration camps for “political" prisoners. The truth about the terrorist attack in the St. Nedelya Cathedral was hidden during the communist period in Bulgaria (1944-1989) in an attempt to erase the event from public memory.